Ms. Sowell earned an LPN from Central Piedmont Community College. She looks up to people like Dr. Kildare and Ben Casey who have been influential on her career. 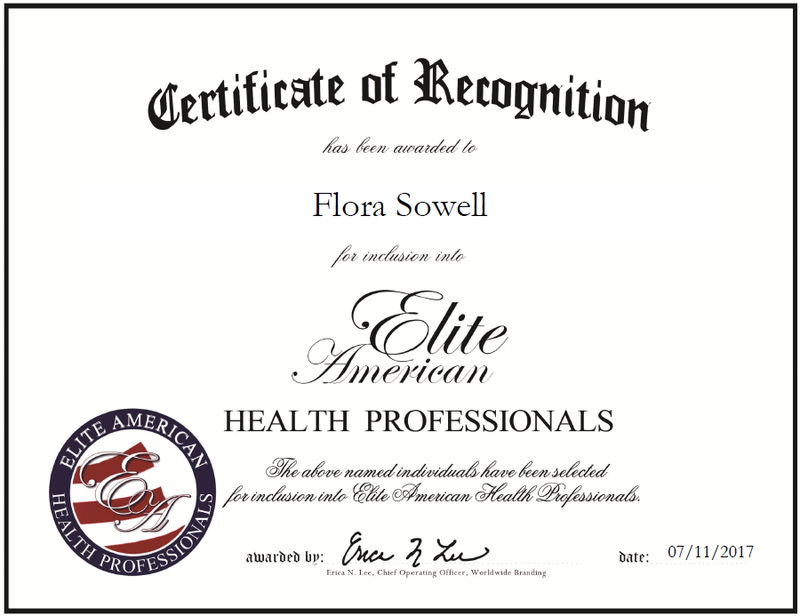 Ms. Sowell is the owner of Flo’s Home Health Care and is welcomed into her patient’s home where she is able to make them more comfortable. Providing these health care services to geriatric patients is immensely gratifying to Ms. Sowell, and she feels her work truly makes a difference. One moment in Ms. Sowell’s career that has had a profound effect on her has been receiving an inheritance from a patient that she had taken care of. This was a demonstration of her impact in people’s lives. In addition, The Charlotte Observer published an article recognizing her as an incredible nurse. She is affiliated with the NALPN and the Alzheimer’s Association. When not tending to her patients, Ms. Sowell spends her time reading and with her two cats, Stymie and Buckwheat. This entry was posted in Health Care Administration, Home Care, Nursing, Uncategorized and tagged geriatric, health care, Home Care, lpn, nalpn. Bookmark the permalink.